The Minnesota Film TV Board works hard to market Minnesota’s talent, crew and production resources and attract film and television production to Minnesota. They also help facilitate productions taking place in Minnesota by helping with location and scouting, equipment and permitting referrals. When they needed a marketing piece to help impress movie and TV producers and directors they turned to d.trio. 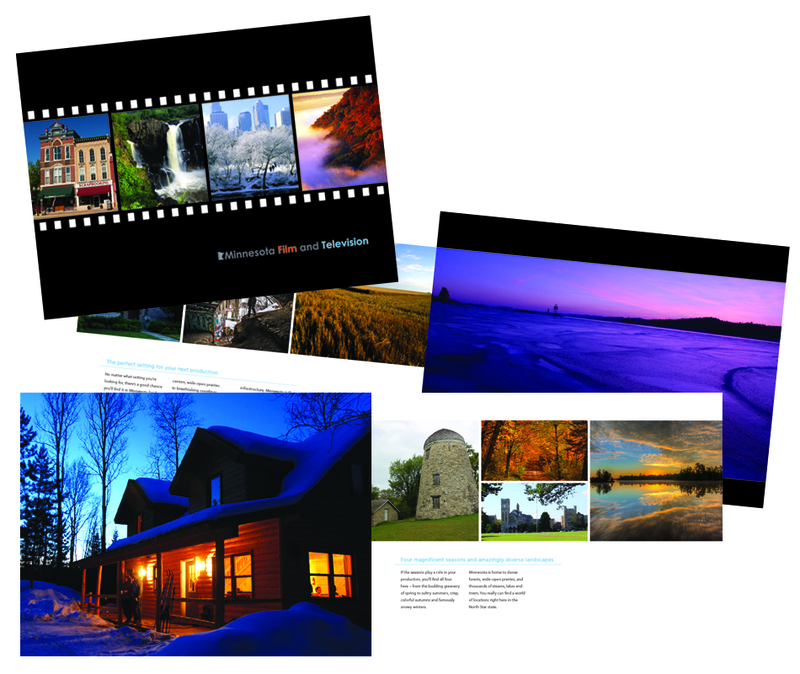 We presented them with several ideas and they chose a stunning look book style brochure that uses vibrant photography to highlight all the varied environments that Minnesota has to offer. A pocket inside the back cover carries a card featuring frequently changing information.